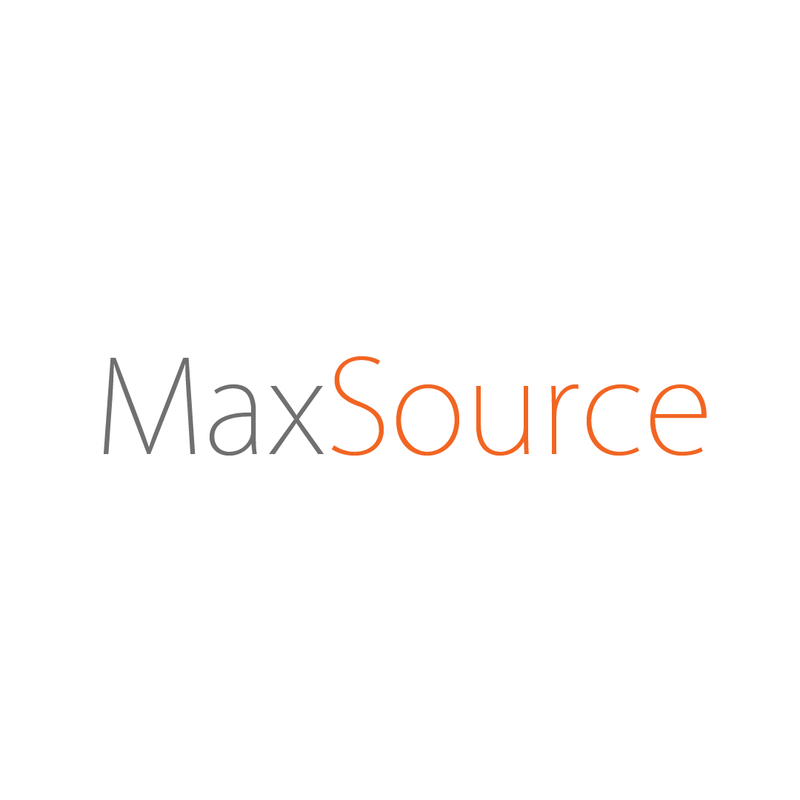 Responsibilities: Overseeing Director of the project, Programming and Network Services. History: The WarHeads SE family has known me since I was in highschool over a decade ago. I started as just an interested player, but when the opportunity came to take ownership of the game and keep it alive I jumped on it. Since then I have been investigating the best way to bring our beloved project into the modern era without losing its identity. After many years of searching and planning, we’re finally moving forward! 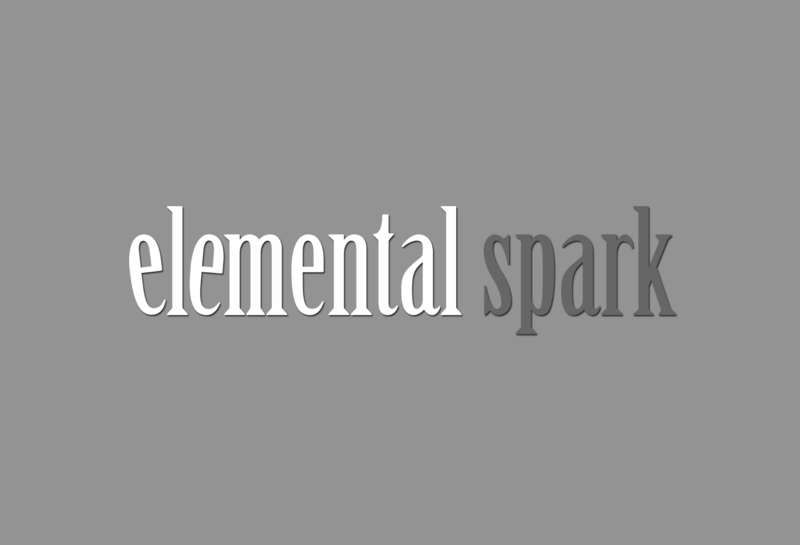 History: I was recently interviewed and it covers my history with Elemental Spark. Beyond this I have a robust skill set spanning over 30 years of self-taught, and working experiences starting with building my first computer when I was 7. My family made sure I saw the world outside my little bubble and I can’t thank them enough for it. My hope is to pass that on to my own children someday. Introduction - Who is this Elemental Spark guy and What’s he doing to our beloved game?! MaxSource and Elemental Spark are bringing together their combined visions of what WarHeads 2 should be, producing the best possible outcome for our insanely loyal fan base, as we also bring in an entirely new generation of players. “I have been drawing plans and logging ideas on how to best bring WHSE to the modern platforms for years, as my dedicated players have known. Through a confluence of timing and events, Michael of Elemental Spark came to my attention right as I was beginning down the road of using the same technologies he was already fluent in. After a strenuous interview to ensure his ideals matched my own, assurances that the values of the community would come first before “shiny”, and confirming much of his portfolio, I decided this was the person I thought I could work with in order to bring our ideas to live in a fashion befitting one of the oldest continuously played online multi-player games. Classic WarHeads SE gameplay, players will choose from an array of user-built and pre-built weapons and defenses, as well as speed and angle of a single shot in a turn-based multi-user environment. Standard mode will now additionally incorporate touch-based controls for easy aiming and on-the-fly adjustment of power and angle by simply dragging and releasing, as well as a new set of fine-tuning adjustments for custom trick shooting! New weapon and defense types added to what you already know and love. Multi-Platform, Cross-Play Compatible!! -- For the first time ever, play on Mobile, Mac, Windows or Linux with all of your friends! Play your sibling on their PC from your phone! VR implementation will NOT affect gameplay if/when we implement it. We may add LEAP MOTION support at a later date for a truly immersive user interface experience. Again, this will not affect gameplay nor provide substantial advantage other than a new fun way to play WarHeads 2. Customizable ships! We’ll cover this later in our blog, but this goes WAY beyond customizing the look of your ship. We are working on ways for you to develop your own ship, share it with others, including full customization of weapon placements, pre-directional shot, and much more. For the first time ever, we are going to allow different custom weapon types as well. Using the new editor, you’ll be able to test your weapon in the editor while you build it and see your weapon operate before saving it to your new pack! This will finally allow you to quickly prototype weapons and visualize them before entering battle! HD high-detail custom hand-painted textures, planets, sprites, environments - some of these new environments, planets and hazards now have interactive elements for you to use in battle either for your aid or to be used against your foes!! We expect these changes will really bring out some amazing new weapons, strategies and exciting new possibilities during gameplay, while still keeping what we know and love, true to the game. It’s an exciting time to be a WarHeads game player!! Classic play, retextured in our modern engine. New looks, old play using original graphic material that will be enhanced and brought to modern standard using hand-painted techniques. Allow users on PC, Mobile and Linux versions to import their custom weapons from WHSE and use them in Classic mode (only). Sharing of packs for classic mode will continue to be at the user's discretion - We will still host an archive, and will continue to support others who do too. Classic play type, SNIPER & standard server options will be available. More details are being discussed and will be released as they are implemented into the game with website updates, blog posts, and social media announcements. Make sure to follow us on your favorite social media site and share with friends. Music is still being determined - Michael is also a musician, but he’d like to see opportunities for indie / freelancers to be able to submit their ORIGINAL music to showcase in WarHeads 2. It would keep the music fresh and revolving, and if possible we’d try to work out a way for us to help to expose those artists with a promotional share program. If you are interested in submitting your original music for use in WarHeads 2, please contact us! We are a community based game, and always will be. As with WarHeads SE, WarHeads 2 is a one time purchase, lifetime license. This is a new purchase, and a new license. We look at it like this: WarHeads was released in 1996, it’s 2016… That’s 20 years and still going. We’ve honored our lifetime license to our past players at less than $1.00 per year cost. We are even going to keep classic WHSE operational. At the same time, however: How many $1.00 apps do you have on your devices? Want a quality one? We refuse to tarnish the legacy with poor quality. 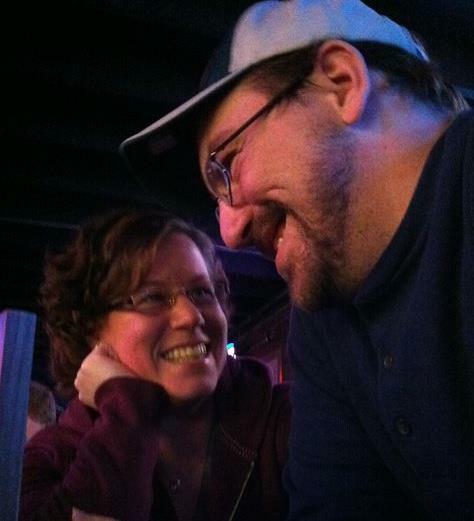 We work full time, have other projects and both have families too. We would be dedicating all of our free time to developing WarHeads 2 for not only you, but us too, we love WarHeadsSE just as much as you do! That’s our uncompromised promise to you. We are working together to make sure WarHeads 2 is an amazing experience, and one that feels right at home to past players, and will be an equally amazing experience to new players too. Neither of us are trying to change the root gameplay that’s brought us all together. It wouldn’t be fair to new players to not deliver the same amazing experience our seasoned players have come to know and love. Kickstarter / IndieGoGo for discounted license(s), WarHeads 2 Gear and in-game extras. This would be the only discount given for licenses, again, this is a NEW product with new costs. There is a ranking system being worked on, we would figure out some way to give all current key holders something special for your early adoption and continued support. Our question to everyone: Is $20 (or less), worth it to have a vastly improved game, kept to its classic roots that you would now be able to play over nearly ANY device, with ANY of your friends for ONE price, with an awesome custom editor, a modernized look, customized weapons, defences, and ships with continued development, routine updates and new content?? We are even taking steps in console development. Michael is a licensed ID@XBOX developer and we’ve already gotten our current build running on an Xbox One! Console versions - While cross-play MIGHT still be possible, it would NOT be possible to use your main license key due to restrictions by the console manufacturers themselves. If we DO pursue console development, it would require a separate license… and we agree that the fact is less than ideal. We just want this crystal clear now to avoid confusion: We have no control over that, it’s just how it goes. Any Minecraft© players out there have had to face a similar situation with their PC licenses and Console versions. It’s a lot to take in, and it’s a long road of hard work to bring WarHeads 2 to you, but we wouldn’t take on this project unless we were sure we could do it. 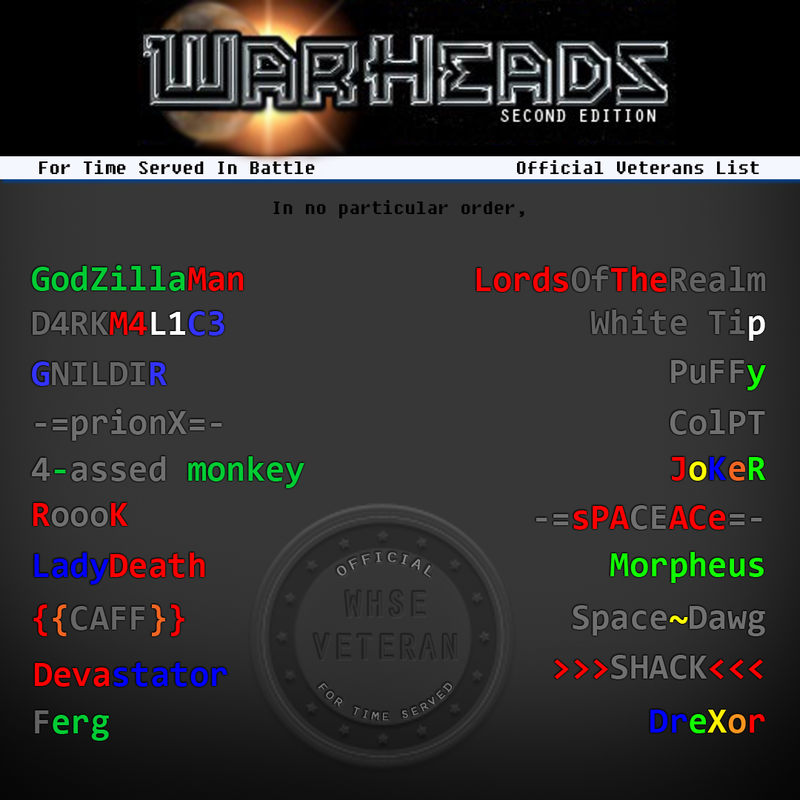 We will continue support for WarHeads Second Edition (WHSE) and have discussed a few updates to it as well. We will honor your WHSE keys for WHSE only. WarHeads 2 is an ENTIRELY different IP, Game and Experience, but because we are not only long time fans and players of the game (Including being the owner in Max’s case), we are DEDICATED to making WarHeads 2 as close to the original as possible. We decided long ago when we agreed to work on this together, our promise to you and ourselves would be that anything that would take away from what we know and love, will be cut from the game.. You love WarHeads SE, We love WarHeads SE. WarHeads 2 is the next generation of gameplay, without compromise to our foundational roots. To those who have stuck by the WarHeads Game Series during it’s TWENTY years of life: We love you. We mean that from the bottom of our hearts. We honestly would not be here without you. Attempting this without your continued support would be impossible. It’s been twenty years and we can still find players on our servers. That is still an incredibly mind blowing fact to us. For your dedication to us and the game, we’d like to grant you a FREE EARLY ACCESS KEY! That’s right - We are giving you WarHeads 2, Free, with admission to our early access beta testing phase!! You get to play before everyone else and hold bragging rights for life with an exclusive in-game Veteran’s badge that will never be given out again! Again, THANK YOU. You are the players who’ve kept this game alive and are truly why we’ve decided this has to be. We are doing this for you and hope you have an absolute blast with us for another 20 years in WarHeads 2! We have your e-mail addresses already, you will be contacted with your free WarHeads 2 key when Early Access begins (TBD). Our only request - Share the details with your friends and your favorite gaming sites to help us spread the word by sharing our posts and showing the world just how much you love this game! NOTE: IF YOU NEED TO UPDATE YOUR EMAIL GO TO www.warheads.net login and update your e-mail BEFORE EARLY ACCESS BEGINS. If you have any issues with this, please email us. If you do not claim your key, it will be lost. 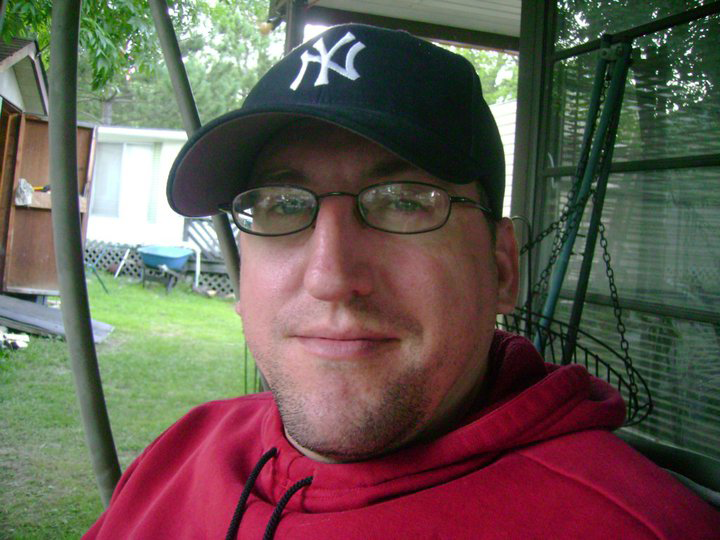 If your game handle is not below, and you feel it should be, please contact Jason and we will figure it out. If we find that you were overlooked, please accept our apologies and we will quickly add you to the Veteran Player list and get you your key and badge. Starting today, we will be giving out WarHeads Second Edition, for FREE! Please come to www.warheads.net to sign-up and start playing! New to the WarHeads game series?? Register an account and come see why so many have stayed dedicated players over a 20 year period!! Only takes seconds to do, it’s easy to play and absolutely FUN! Register an account and follow the new user registration for details on how to retrieve your key. Get acquainted with WarHeads Classic gameplay, make weapons and prepare yourself for WarHeads 2! 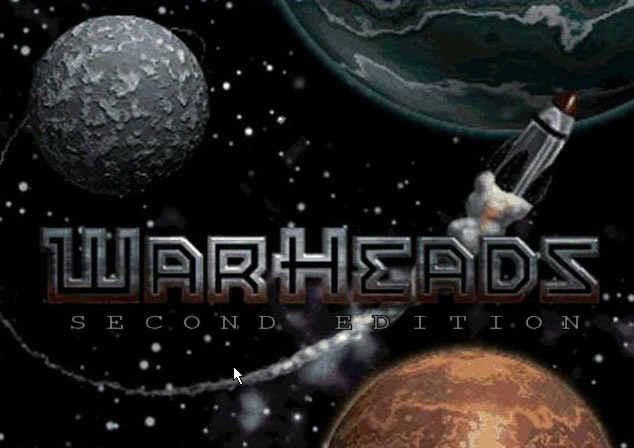 (Remember, you can import any compatible packs from WHSE to our new WarHeads 2 Classic Mode!! Our VIP’s above were selected for the amount of time played in WarHeadsSE and have actively played the game throughout it’s 20-year history. 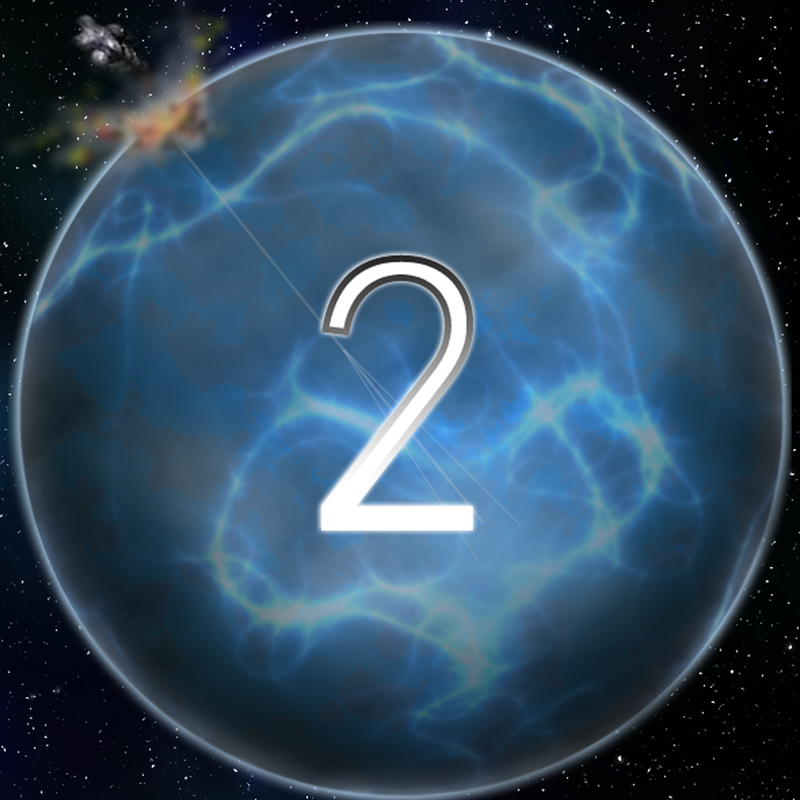 You will EACH receive a copy of WarHeads 2, be the first to play in EARLY ACCESS, and a unique to you, the in-game badge you see above that will digitally painted and customized by Elemental Spark to pay homage to your in-game handles. ALL previous WarHeads SE players will also receive an in-game badge for being a part of our history! We are a very passionate bunch of gamers, some of us have grown together over the years and we are going to soon be able to share what we know and love with the rest of the world. Show them our community spirit and hospitality, while all the while, kicking their butts in-game!! We cannot wait to show you more. Be patient, the updates will come. This is not an overnight process, the game is at best - 10% completion. We are working on it. Give us time, we have a feeling you are going to love this. Well, what do you think? Are you ready for WarHeads 2?! Follow us on social media for exclusive looks at the game! Like, Follow and Share!